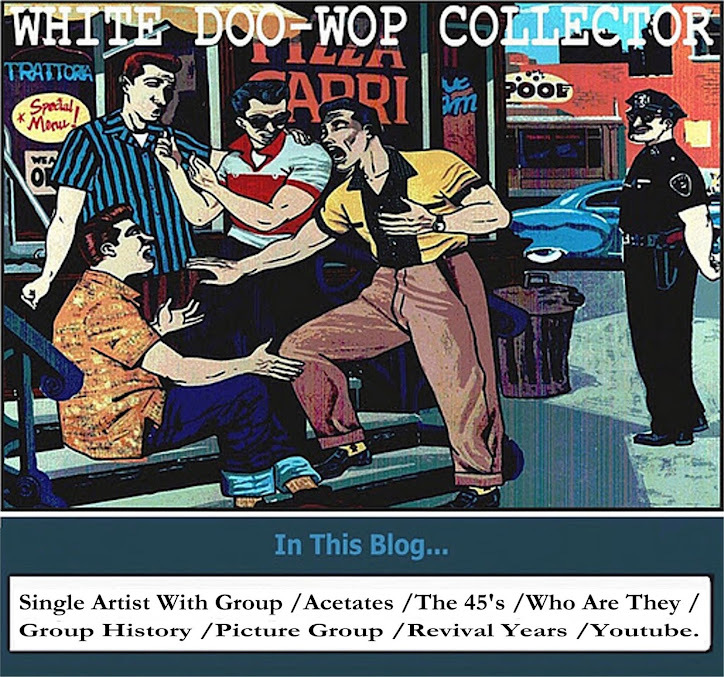 The Debonaires are an early white doo wop group (with a black sound) from Long Island,N.Y. started in 1954-55 by Robert Adino and Mike DiBenedetto as The Echoes who recorded their first songs as back up group to Lucille Val. In 1956 the group was formed by Robert and Mike with Edwin Lamboy and Frank Reina, they signed with music director Bert Keyes of Gee Records,who recorded six sides under the new name of THE DEBONAIRES. In 1956 the label released_Won’t You Tell Me/I’m Gone (A side is a sound-a-like side to”Please Say You Want Me” of the kid group The Schoolboys). Without promotion led the discouragement of the group and this disbanded soon. In 1959 Gee Records released two new sides of the group from their 1956 recording session_We’ll Wait/Make Believe Lover. Without any success. The group have the unreleased sides_Best Love//I’d Climb The Highest Mountain. Mike DeBenedetto's brother (younger ), Joe was the lead singer of The Four Evers (see in this blog). Hi. Do you know something about the members group?